The Niagara Falls Social Security office is located in Niagara Falls 14304. The following page includes information for this location like the office phone number, hours of operation and driving directions. If you have any interests or comments about your retirement benefits or are interested in making an appointment, call the following Niagara Falls Social Security office. The Niagara Falls Social Security office is located at 6540 Niagara Falls Bvd. 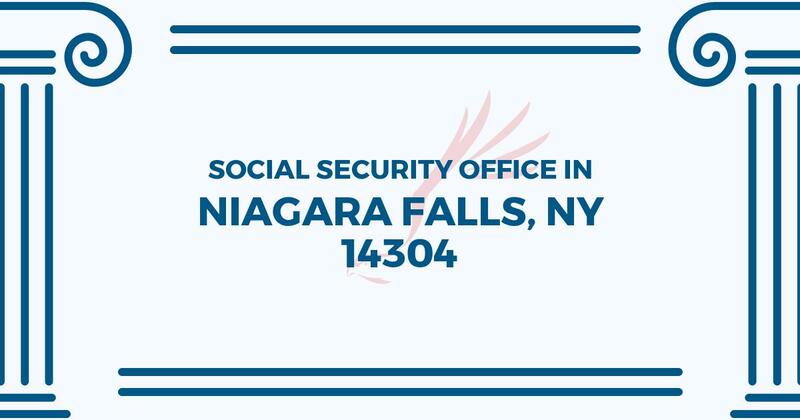 The Niagara Falls office provides information, help and services managed by the Social Security Administration. The following page contains information for this location like the office phone number, hours of operation and driving directions. If you have questions or doubts about your retirement Social Security benefits, or you need to schedule an appointment, contact the Niagara Falls Social Security office. I disagree with the 5/5 rating of the Niagara Falls, NY SS office. I needed my deceased mother’s last 1099 to complete some paperwork for my sister with DD to get her some help with her property taxes. After waiting 46 + min to speak to someone on the phone to ask what I needed to take with me to acquire the 1099 and then driving 45” to the SS office with what I was told I needed to take and then waiting about an hour to speak to someone there, I was told they couldn’t help me. The woman was rude and printed off a policy, which she handed to me. The best I can ascertain, she was in the wrong. I’m thoroughly disgusted with the service I received today and I don’t think that woman should be working there. There is also more to the story.